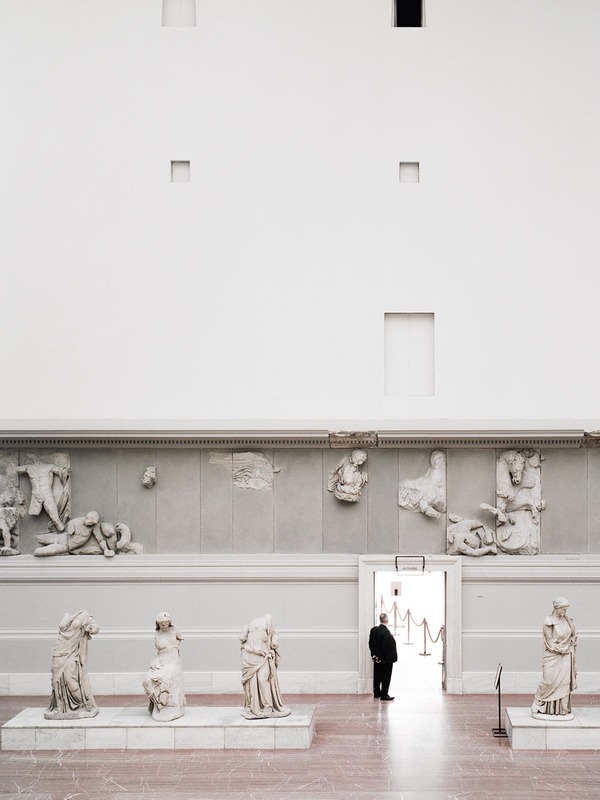 a guard standing in the main room of the pergamon museum in berlin. the pergamon museum is situated on the museum island in berlin. the pergamon houses original-sized, reconstructed monumental buildings such as the pergamon altar and the market gate of miletus, all consisting of parts transported from turkey. the museum is visited by approximately 1,135,000 people every year, making it one of the most visited art museum in germany.